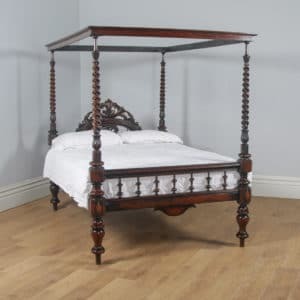 We have for sale a variety of antique beds, mainly antique four poster beds. 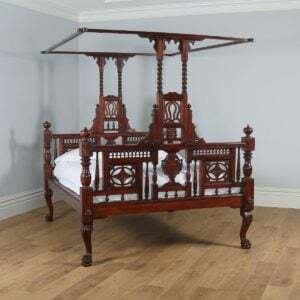 We specialise in the colonial Anglo Indian Victorian period. 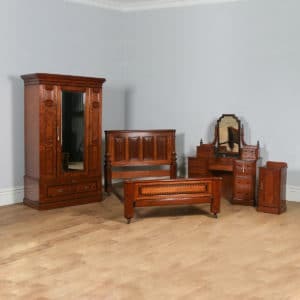 Our family has been fortunate enough to purchase a number of them and there is now an opportunity for you to acquire a unique piece of history. 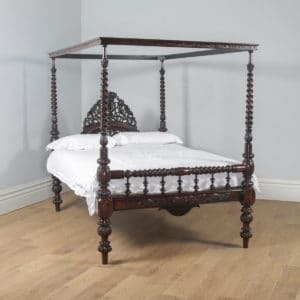 They date from the early Victorian period, between 1840 to 1947 (date of Indian Independence). 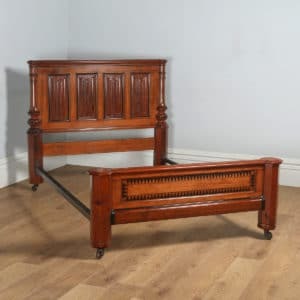 Constructed for the British Raj and their families, they were made from the finest materials, usually mahogany, teak or sissoo wood (which is a member of the rosewood family). 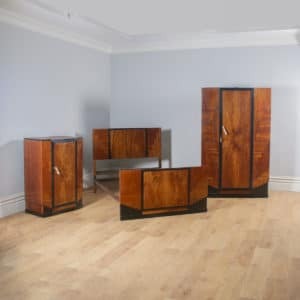 Because they were designed to be "flat pack", they could be transported on military exercises or to their summerhouses in the hills. 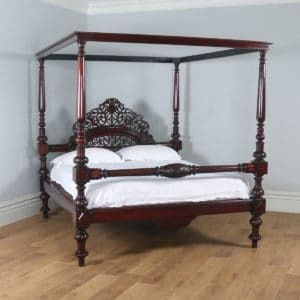 Constructed when the Raj was at its height, the quality and size denoted the title and rank of the owner. 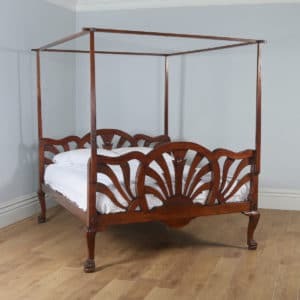 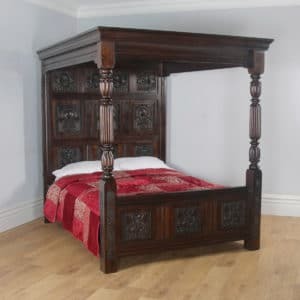 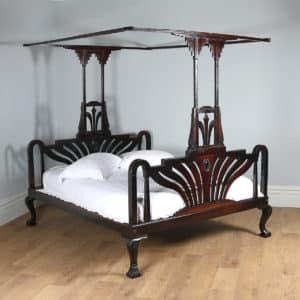 We also have in stock from time to time, antique four poster beds from the Elizabethan, Tudor, Georgian, Victorian, Edwardian and Art Deco period. 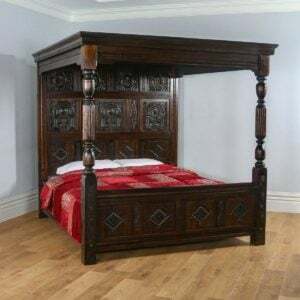 Our antique four poster beds come a variety of timbers, including oak, mahogany, rosewood, teak and sissoo wood. 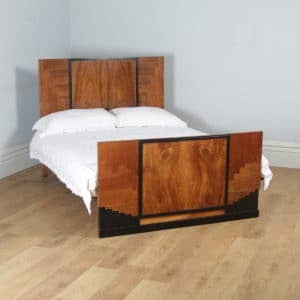 A range of luxury mattresses, from standard sizes (double, king size and super king size) to custom sizes, to suit any size, is available. 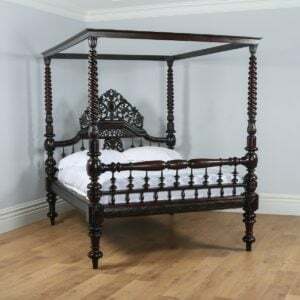 Our mattresses are handmade in England and start from £450 GBP. 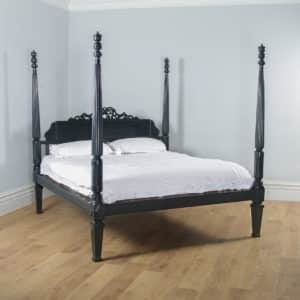 You can view our range of mattresses by clicking here.